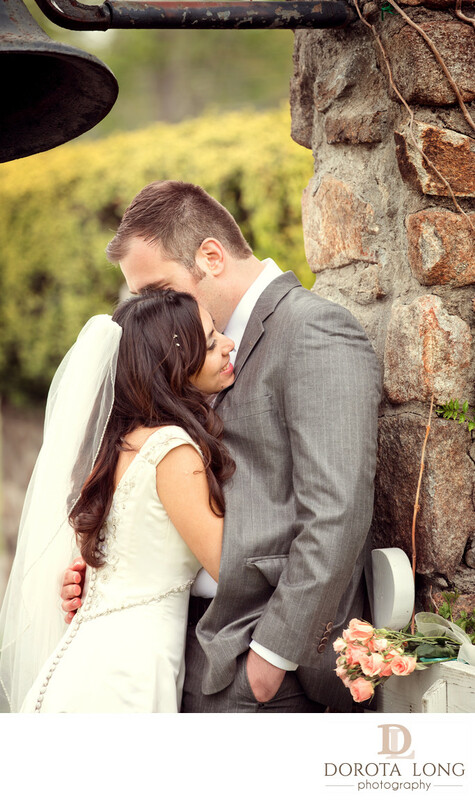 So many great pictures taken at the Candlelight Farms Inn in New Milford! I had a really hard time to pick my favorites. The wedding couple were really great models. They were very natural in front of my camera and I loved documenting their chemistry. In this photograph, the groom was whispering something to bride's ear while she was hugging him under his jacket. I loved how private this moment was. They completely forgot I was there. I shot this image at 200mm so they didn't feel my presence. It was really touching to watch how much in love these two were. It was over one year ago since I took this image at their wedding at the Candlelight Farms Inn in New Milford, CT but the bride has been very open how much she was in love with these photographs. I feel honored to be part of their big day. Because it was a very cloudy day which is not what I prefer when I photograph weddings, I used some methods in post processing to enhance the colors in the image so that they don't look washed out. In post processing, I typically use Lightroom and/or Photoshop, depending on how much work each image needs. What makes my work stand out and unique is my vision that I further complete via post processing. Location: 214 Candlewood Mountain Rd, New Milford, CT 06776, USA.